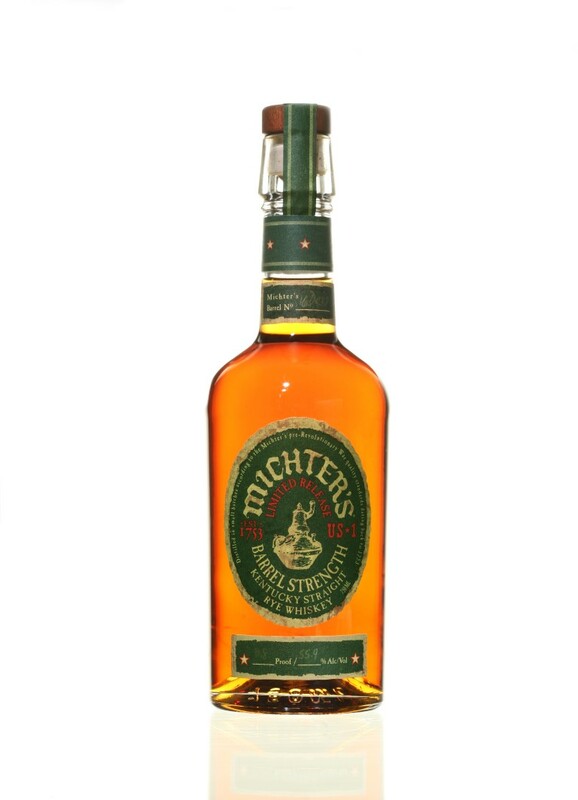 Michter’s is back with its second barrel strength rye, which is a higher-proof rendition of its US-1 Single Barrel Rye. The interesting thing about this rye: It goes into barrel at just 103 proof. 125 entry proof is standard; 105 proof is used sometimes, but 103 is quite on the low side. Hot on the nose, the whiskey kicks off with a bold grain profile and layers and layers of spice — both the sweet baked goods variety as well as some cayenne. Some nutty and honeycomb notes emerge given time in the glass, along with some oxidized wine aromas. On the palate, the whiskey pushes its grain base heavily, again backing a heavy cereal character with ample spice. Rather oily, it layers on notes of rhubarb, currants, and some sour cherry, finishing on a surprisingly tart note. Altogether it’s quite a different whiskey than Michter’s standard-issue US-1 Rye (and a somewhat better one), it doesn’t quite find the balance it needs to really raise the bar. That can be a challenge with rye, particularly relatively young expressions, as this one appears to be, but it’s at least a solid effort through and through that grows on you the more time you spend with it. Note: These are single barrel releases and proof will reportedly vary between about 110.2 proof and 114.8 proof. As reviewed: Barrel #16D432, 111.8 proof. I thought this was a helluva bottle of whiskey and it was gone way too soon. Made a killer Manhattan and fabulous over ice at barrel proof. Another stellar bottling from the folks at Michter’s. Can’t wait to see what they’ll be bottling of their own whiskey once it’s ready!